Here Comes The Bouquet Game BLCBOUQ. Here Comes the Bouquet Sweet Fun For Everyone. No Bride would be complete without her bouquet and no Hen, Bridal party would be complete without the Here comes the Bouquet game. Start your next party properly & keep your guests entertained whilst creating memories that last a lifetime. How to play: First, cut out all of the bouquets. 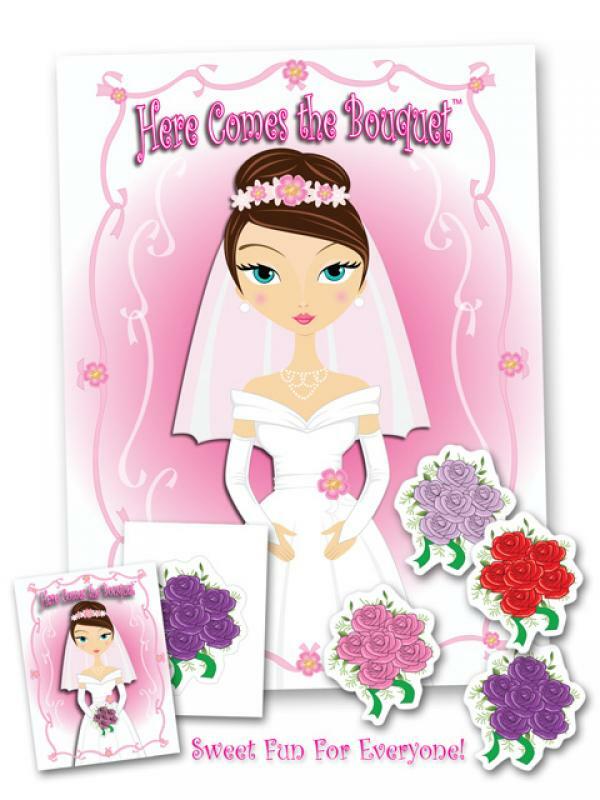 Each player must choose a bouquet and then write their name on the back. Before playing, place adhesive, such as mounting putty or double-sided tape to the back of the bouquet. Blindfold the first player & spin her around three times. She must then place her bouquet as close to the bride's hands as possible. Leave all the bouquets wherever placed until all players have had a turn. The player who gets their bouquet closest to the correct position the bride's hands wins the game! 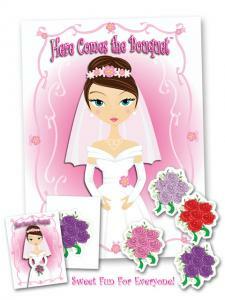 Game includes: 1 23 inches 32 inches Bride Poster and 16 Bouquets in 8 different styles and colors. Bachelorette Game. Ball and Chain Games.